There are several pieces of legislation in the credit reporting industry that protect consumers from having their credit ruined by bad business practices or bad credit reports. Because credit plays such an integral part in modern society, you should know about these laws so you can understand your rights and how to protect yourself. The Fair Credit Reporting Act (FCRA) is a federal law that is designed to regulate credit reporting agencies. Furthermore, fair credit reporting compels the consumer reporting agencies to ensure that the information they are gathering and distributing is a fair and accurate summary of a consumer’s credit history. The FCRA includes a list of consumer rights regarding an individuals’ credit history. The act requires credit reporting agencies to provide a consumer with any information in their annual credit file when requested once a year. You will need proper identification to gain access to this information, but you are allowed to request one free copy of your FICO score, and you should receive it within 15 days of your request. The act limits who has access to your credit file. These entities include banks, insurance companies, employers, and others doing business with you that requires credit. When you request your free credit report and credit scores every year, you also have the right to know who asked for your credit report during the last year, or if you want to see employer-related requests, two years. You have the right to challenge incorrect information on your credit report with the credit bureau. If the wrong information cannot be verified, the reporting companies have the responsibility to remove it. If you find that you aren’t able to clear up the problem, you have the right to add a statement to your credit report explaining the situation about your credit accounts. The FCRA prohibits a business from publishing your full credit card number on any receipts. The law also allows you to protect your Social Security number by having it shortened on your credit report. Again, there are many more rights that the FCRA gives to consumers, all of which you should be familiar with when trying to figure out what credit reporting legislation affects you. The Fair Debt Collection Practices Act (FDCPA) is a law that is designed to limit the actions and behavior of debt collectors, especially those who are trying to gather debts for another company or person. In particular, this law limits the means and methods that debt collectors can use to contact debtors, the number of times they can contact debtors, and even when they can contact them. According to the FDCPA, debt collectors are not allowed to contact debtors at inopportune times-meaning that they are not allowed the ability to interact with debtors before 8 a.m. or after 9 p.m. unless a call has been arranged with the debtor out of those hours. Debt collection agencies can reach out to debtors at their home or offices, but if a collector is told by the debtor, either in writing or verbally, to stop calling their place of work, the collector cannot call their office again. Debtors can also request that collectors stop calling their home, but that must be in writing. Debt collectors only have the authority to inform a debtor about the debt in question and ask for payment. There are some cases where the collector can help figure out a payment plan or settlement to help the debtor pay the bill. The Fair Credit Billing Act (FCBA) is an amendment to the Truth in Lending Act and allows credit cardholders to dispute incorrect charges and even temporarily withhold payment–all without hurting their credit reports. Under this law, credit card companies must also look into any charges the consumer disputes and if they find that the charges are wrong, then the information must be corrected on the consumer’s credit file immediately. Consumers are also protected from liability and fraudulent charges under the FCBA if their credit card information has been stolen or left vulnerable during a data breach. You have 60 days after the bill was mailed to you to dispute a charge on your credit card. You must mail in your dispute. In this letter, include your name, account number, the dollar amount you are disputing, and why you think it’s a mistake. Send the letter by certified mail and include documentation. The investigation will take a few months to complete–so be patient. However, they only have 30 days to acknowledge your dispute and inform you of their investigation. The Truth in Lending Act (TILA) was designed to ensure that consumers are treated fairly by all businesses in the marketplace and are informed about the true cost of credit. The TILA also requires credit lenders to disclose all credit terms in an easy to understand manner so that consumers can confidently compare interest rates and conditions with other cards. The Credit Repair Organization Act (CROA) allows you to correct any mistakes and errors that might appear on your credit report. This act protects your rights to legitimate, reputable credit repair services to help you protect your credit. It’s in the best interest of any consumer to maintain the highest credit scores possible, so if any consumer experiences a problem, they should have the right to act by fixing any mistakes. Certain companies make false or misleading claims in an advertisement or engage in bad business practices that could harm consumers who are already struggling. To ensure that consumers who want to use credit repair services are fully informed about their rights before they make any purchasing decisions. To protect consumers from unfair and deceptive advertising and business practices. Now that you have a better understanding on your rights as a consumer and how credit reporting legislation affects you, you are better prepared to tackle your credit and build a more positive credit history with the reporting agencies. If you’re looking for an organization that lives up to the highest ethical standards and adheres to all applicable statutes, rules, and regulations, then you should look at Lexington Law Firm. We offer a high level of expertise to ensure that your credit report repair will be designed for your specific situation and will act on your behalf when it comes to dealing with credit reporting bureaus and creditors. 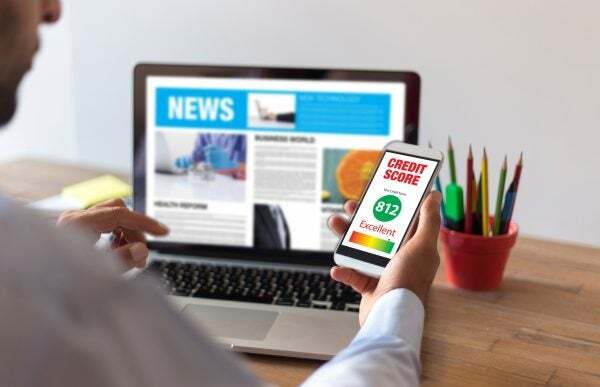 At Lexington Law Firm, the attorneys believe creditors should have to prove items on a consumer’s credit report are accurate, fair, and adequately authenticated. Receive a free personalized credit consultation from Lexington Law and let an attorney walk you through their service levels to find the right credit repair solution to fit your credit needs. This entry was posted in Credit 101 and tagged credit report. Bookmark the permalink.